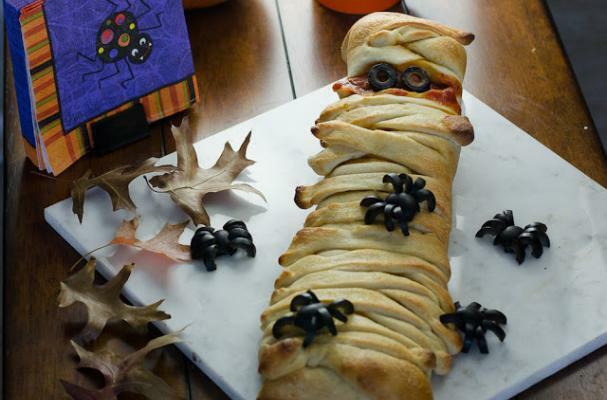 This mummy calzone from Cooking by Moonlight is an easy Halloween eat. This is a dish the whole family can cook together and have fun doing it. Pizza dough conceals mozzarella cheese, marinara sauce, and a few other delicious goodies. Entice the young ones to get into the kitchen with this recipe. For full recipe instructions, click here.